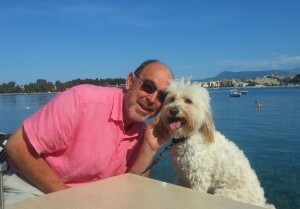 My name is Graham and I am happy that you have taken the time to read my story and explore these pages about my fabulous luxury villa rental in Corfu. When not at Del Cielo, I live and work in the UK. Passionate about Corfu, I enjoy getting out as much as I can with family and whenever possible with my Corfiot rescue dog. After visiting Corfu it became my dream to design and build my own luxury villa rental in Corfu from scratch. 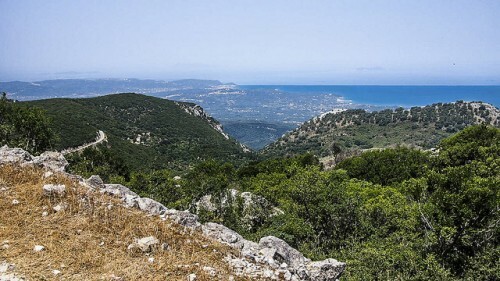 I am passionate about the environment and conservation and wanted to preserve as much of the landscape and as many of the olive trees as possible. I was naturally keen not to spoil the beautiful site. So, I literally built around the trees, determined to create something unique that nestled into the hillside. Whilst the project lasted almost 7 years and was fraught with obstacles & pitfalls I was determined to achieve a dream luxury villa rental in Corfu. I have to pinch myself now, as at last my extended family and I are living it. After our first family holiday in Corfu in the summer of 2003 we knew there was something special about the island, there was something for everyone, every age, every mood. With that in mind I immediately began my hunt for a home. 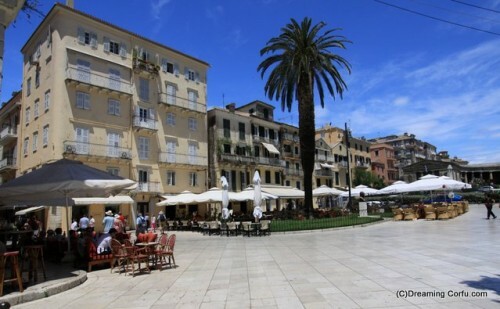 I wanted a very special place and to be able to combine amazing views with total unspoilt privacy, be close to a village to experience a bit of the real Corfu and still have all the coastal attractions and also to be able to pop into Corfu Town whenever I felt like it (that was the hard bit). It is true, I wanted it all. That was why when together with my partner, we stumbled over what was then an olive grove and the magic hit us and I set about purchasing it by Christmas that year. I spent the next 3 years purchasing two adjoining plot so as to ensure total privacy. I was determined to live the dream and now are very happy to have it for family and to share it with my guests. Del Cielo enables! Staying here provides the basis for the perfect holiday, recovery, rest, relaxation and play. It is at one with nature, the drama of the varied scenery alone soothes the tensions of the mind. Del Cielo has a fabulous large garden and stunning pool with landscaped decking surround. 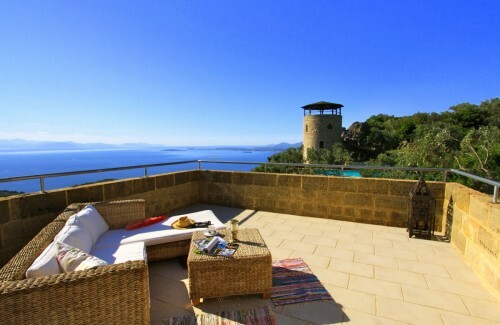 It has an unusual amount of privacy and security for any luxury villa rental in Corfu. From Del Cielo it is easy to take a boat trip along the coast and drop into a beach taverna for lunch, to trek or walk in the hills or hike up the mountain. You can easily tour the mountain villages and maybe stop off for an authentic lunch in Strinilas or Old Perithia. It is easy to stay at the villa all day. It has enough space to find a quiet corner in shade of full sun or to socialise around the huge pool or on the large terraces. It’s magic caters for every mood! You will never feel the need to escape. It has enough space for large family gatherings, or to celebrate an anniversary. 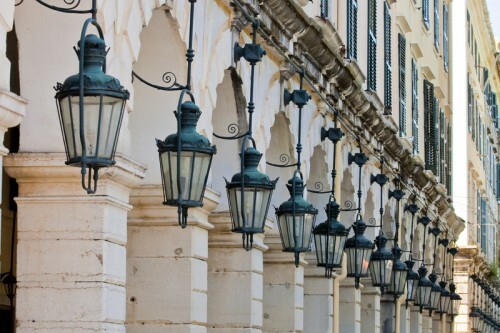 Corfu town is close enough to spend a day sightseeing, or an evening in one of its fine restaurants. Nissaki and Barbati are also close where you can find water sport and boat hire. 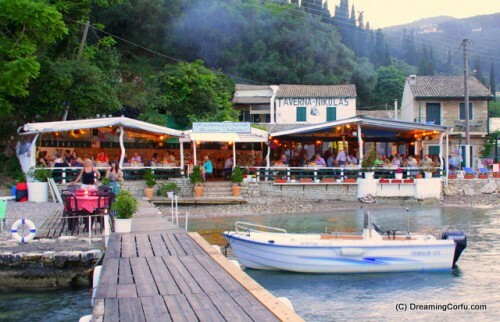 In the evening the clubs and bars in Ipsos attract the younger visitors, There is a huge choice of tavernas all along the coast for simple and rustic authentic food. A strange thing happened to me as soon as our holiday in Del Cielo began. Time started to run at a completely different pace – a slower pace, a more meaningful pace. They say time flies when you are having fun and the implication is, when you are bored it slows down. What tragedy! But at Del Cielo, the laws of physics are reversed and time drags and languishes in his slow chapped power and how heavenly that is! Wouldn’t we all love for time to stand still when we are experiencing joy?